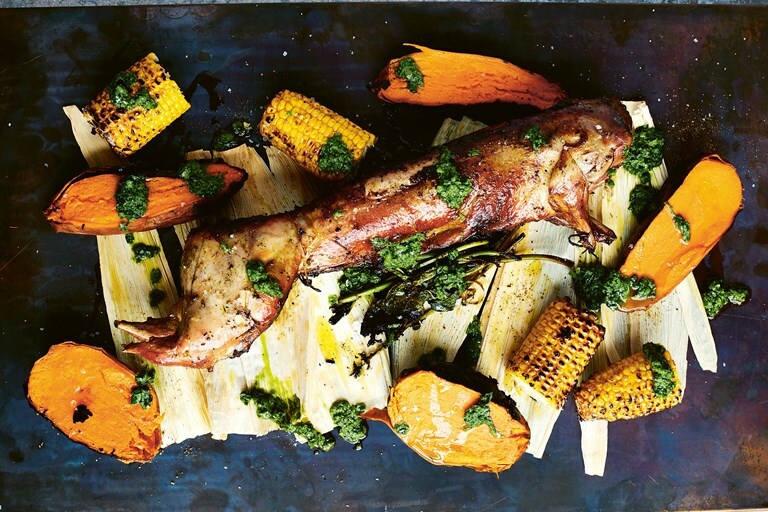 Martin Morales' Peruvian roast rabbit recipe is cooked whole on a stick suspended over hot coals for a wonderfully smoky finish. He also offers methods for cooking on a conventional barbecue or even in the oven, depending on the kit you have available. This recipe is taken from Andina: The Heart of Peruvian Food by Martin Morales, published by Quadrille. Photography by David Loftus.